Art is at the heart of our region. As you stroll through Mackay’s city streets, you can’t help but notice the well-preserved 20th Century and art deco architecture, which brings an endearing character and much charm and historical sentiment to the centre. Buildings of note include the heritage-listed former Pioneer Shire Council building in Wood Street, which was restored to its former glory by Mackay Regional Council as part of the City Centre Revitalisation Project and the Town Hall in Sydney Street. Built in 1912, the hall – which was once the administration centre for council – features a small exhibition space. Modern public artworks scattered along the nearby Bluewater Trail (along the Pioneer River) is always a tourist talking point. The trail is home to six professional installations by artist Fiona Foley, which have been hailed as one of Australia’s most significant public art developments. These pieces were created with input from local communities in the Mackay region, the Indigenous Yuibera people and the Mackay-based South Sea Islander communities. Landmark public art is also destined for the intersection of Wood and Victoria streets, as part of the revitalisation. After an extensive community engagement process, Cane fire, by Niche Art is our newest City Centre icon. This six-metre sculpture, which represents our city’s transition from an agricultural to an industrial and commercial hub, uses LED technology and innovative digital technology to enable mobile phone users to create their own lighting and water effects. Located at the Civic Precinct in Gordon Street, the region’s Artspace Mackay is award-winning. Artspace features a range of visual arts and social history works, artists’ books as well as modern digital film exhibitions. Located in the heart of town, yet only 10 minutes from the airport, Mackay Entertainment and Convention Centre is a short stroll away from a plethora of City Centre restaurants, hotels, shopping precincts, swimming facilities, and Artspace. Mackay is also home to a 10,000-capacity stadium featuring a whopping 1600-seat grandstand. Since opening in August, 2011, the venue has hosted NRL matches, a round of the Professional Bull-riding Series and State League football games. It was also the venue for the 2012 North Queensland Games Opening Ceremony. Click here for all stadium and MECC enquiries. 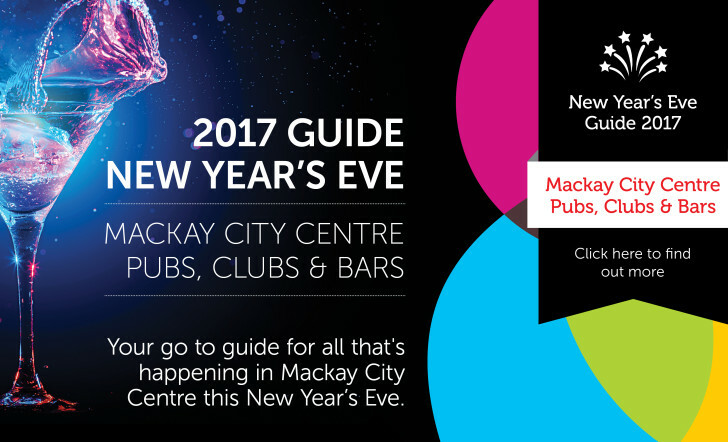 To stay up to date with activities in the city “Like” the Mackay City Centre Facebook page and subscribe to the community subscribers eNewsletter.